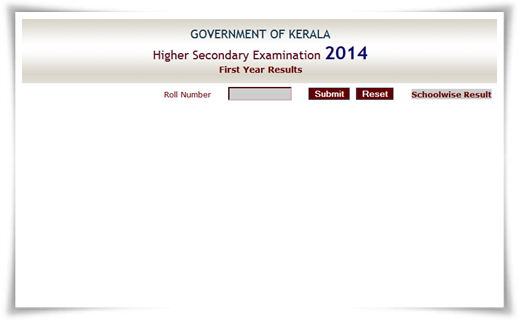 The Directorate of Higher Secondary Education (DHSE) Kerala has published the Plus One exam results. Students who had appeared for the plus one exam conducted in March 2014 can check their results through the official websites by giving their roll numbers. 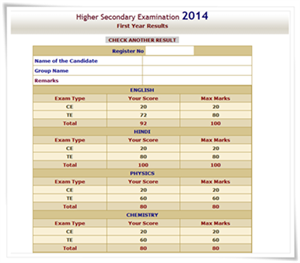 Other than individual results, students would be able to check the school wise result through the website. The results are prepared after adding the CE marks to the marks (TE) that students achieved in the written exam. Students who wish to get their answer sheets revalued and also get the photocopies of the answers sheets should submit the application form before 30th June. Such students should have to apply for the relevant purpose after remitting the fee to the school principal where he/she had attended the exam in March 2014. The application forms will be made available at DHSE portal and also in the schools. The Kerala DHSE Plus One improvement exam 2014 will be conducted following a notification regarding it. The date of the exams would be announced shortly. In the previous year, the supplementary/improvement examination was held in September. Students are advised to take print out of their mark list for future use. The fee for improvement exam will be Rs 500.If the student need the copy of his/her answer sheet, Rs 300 must be paid along with the prescribed form. The fee for scrutiny per paper/subject is set at Rs 100.